I donated this drawing to a charity auction raising funds for anti poaching canine patrols in the East African Ol Pejeta Conservancy. It raised £400, which I hope will help the rangers in their difficult and dangerous fight against poachers. 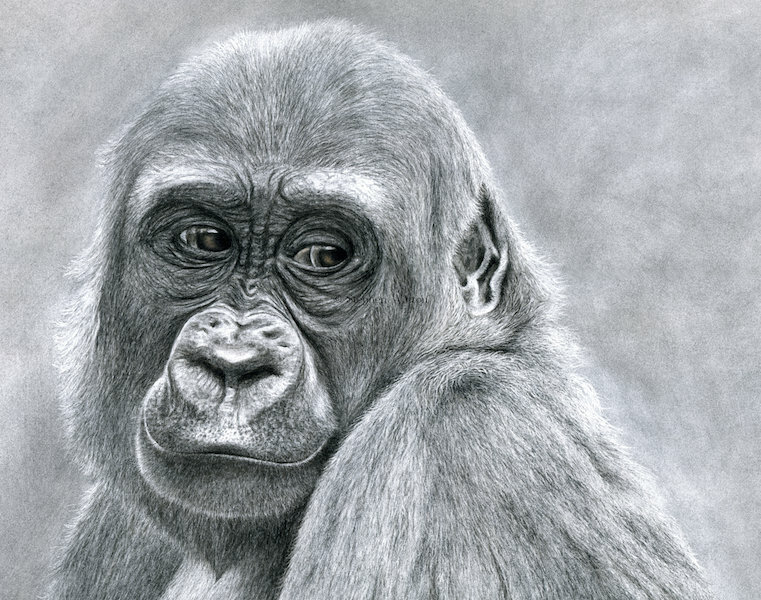 When I decided to draw this Gorilla I wanted the finished work to make the viewer wonder 'what do they think about'.